Congratulations to Ucchie! 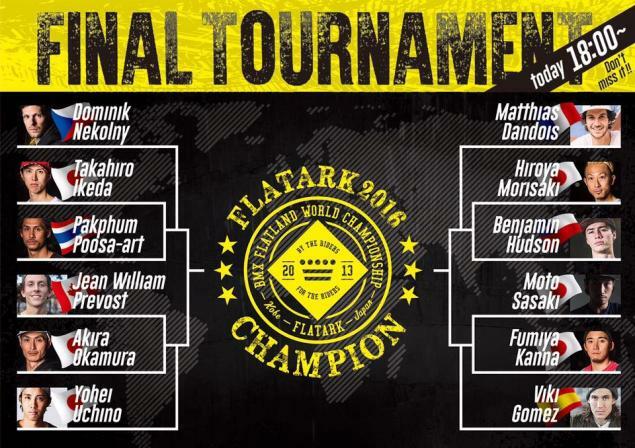 He won his final battle against Matthias at the Flatark in Kobe, Japan. In the semi finals Matthias defeated Moto and Ucchie won against Dominik.